We’ll drive for an hour or so to the hills south of Bologna, where the Apennine Mountains rise from the Po River plains. We’ll begin our guided walk at Brento and climb to the top of Monte Adone, from which we’ll have a spectacular view of the Setta River Valley. We’ll explore the Monte Adone ridge, which is lined with trenches dug by the Germans during the Second World War as a part of their attempt to stop the Allied troop advance in 1943-44. We’ll stop for lunch at a farmer’s house, where we’ll enjoy tagliatelle, homemade egg-based pasta, with Bologna’s typical sauce, ragù. After our meal, we’ll stroll to the top of the hill overlooking the house, where we’ll be in for a pleasant surprise. 2nd day: An art historian will lead us this morning through Europe’s oldest university – as well as several other remarkable art and architectural treasures. 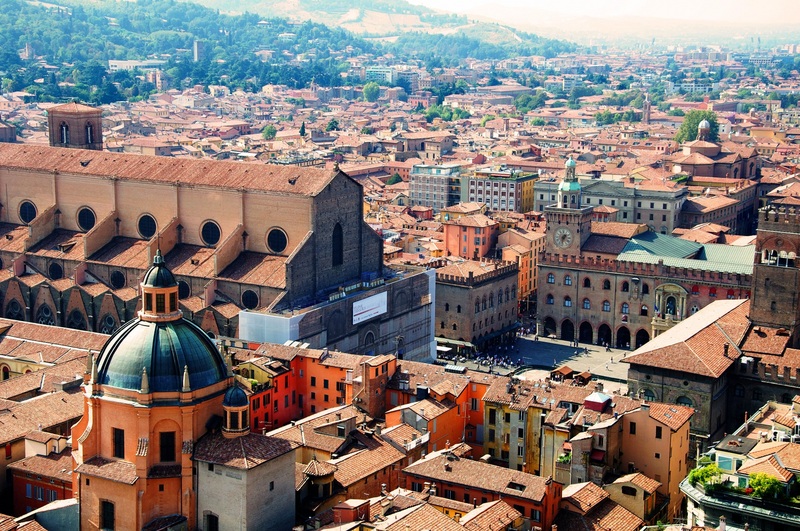 After lunch, we’ll continue our stroll through the Bologna’s historic center, stopping in at several shops of local interest, including the “Liutaio”, home to a violinmaker, and the “Libraio”, where books are assembled by hand.